The 'Meet' Series will be a chance for me to interview authors, publishers, book cover designers (really anyone I would love to meet) that is involved with African literature. With that very brief introduction, I am very pleased to announce that the first person in my (hopefully continuous) 'Meet' Series is Chibundu Onuzo. 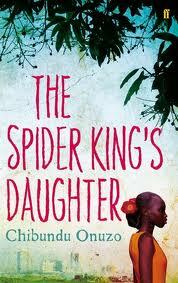 Chibundu Onuzo is a 21-year old Nigerian, whose debut novel The Spider King's Daughter was published in March 2012. At 19, she managed to secure a two novel deal with Faber & Faber and became their youngest ever female author. She has been longlisted for the Desmond Elliot Prize for debut authors and in June was voted the UK's No.1 Best Black Student of 2012 by Rare Rising Stars. She was also recently nominated under the 'Creative Artist of the Year' category for The Future Awards. Pretty impressive for a 21-year old. It must have been in Composition, a subject that was mandatory in my primary school. The title would have been something banal like ‘My Pet,’ or ‘My Last Holiday,’ or ‘My Favourite Subject’ which was in fact Composition. I enjoy doing it and it was always easier for me to work at writing than Physics for example. Lots of things. I eat, I sleep, I play the keyboard in my church and I sing. I also follow Nigerian politics and constantly irritate disinterested friends and family members by trying to talk to them about it. Charles Dickens. I read a lot of classics when I was growing up and Dickens featured heavily. As a child I loved him because his stories were so gripping and as an adult I now appreciate the quality of his writing. What are your favourite books (or book-related items) to give - and get - as gifts? No I’ve never bought a book based on its looks but I have borrowed books from the library many times based on their covers. 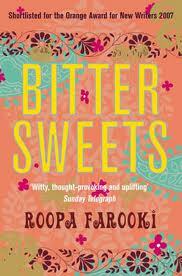 Bitter Sweets by Roopa Farooki was such a choice. Both. My brother bought me a kindle for my birthday and I must say I’m a convert. I still love and buy physical books but after downloading the complete works of Jane Austen for £0.77, my esteem for e-books has risen. It depends on how badly I want to read the book. If it’s a book I’ve been meaning to read for a long time but never quite gotten round to, Amazon. If it’s a new release that I want as soon as it hit the shelves, then I’ll head to a bookstore when it comes out. I don’t generally download new books to my kindle. Instead I tend to buy classics on it. It just came to me. Divine inspiration I suppose. Before I’d written a word of the book I had a title. I don’t know how unusual this is but it felt pretty special to me. How did you come up with the characters Abike and Runner G? I suppose you don’t really come up with characters as such. You just find them lurking somewhere in your head. My favourite chapter is actually towards the end of the book so I won’t spoil it for the reader. My second favourite chapter is Chapter 3 where the hawker describes what everyday life as a hawker is like. It just flowed out of me perhaps because I interviewed a hawker many years before I wrote the book. So I had a factual template to use as a guide and then I filled in any gaps with my imagination. What do you hope people will take away from your novel? If you’re a reader that lives in Nigeria, be nice to hawkers. If you’re a reader in a country where there are no hawkers then you can take away anything you like. Writing it. That’s usually the hardest part. 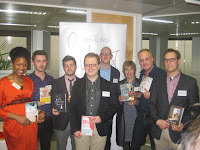 Your novel was published in UK and US by Faber and Faber are there plans to make the book accessible to readers in Nigeria, or other African countries? You can buy it in South Africa at the moment and it’s available in at least one book shop in Nigeria called Pataba but there are plans to make the distribution more widespread than it is presently. 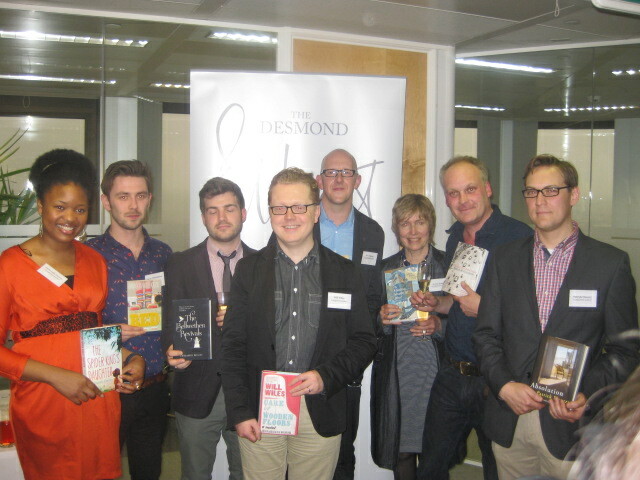 You are Faber’s youngest ever female signing, were one of The Guardians New Authors for 2012, and you were long-listed for the 2012 Desmond Elliot Prize for New Fiction, how does that feel? What’s the toughest criticism and best compliment you have received? Best compliment: Is that your hair? Toughest criticism: It was a very bilious blog review. Suffice it to say it was harsh. I want to see more of it and I want to see it more widely available. It’s a little irritating that I have to wait till I go to Nigeria to stock up on the latest Nigerian fiction. Do you think the African writer has a role to play in improving Africa’s (sometimes negative) international image? No, unless the Ministry of Tourism is going to start paying us. What’s next after The Spider King’s Daughter? A second book that I’m working on at the moment. It’s also set in Nigeria and that’s all I will say. Is there anything that you would like to say to your readers and fans - whatever comes to mind? Thank you for reading and enjoying and supporting the book. I know it's a big long, but I just had tons of questions to ask. Also with Chibundu Onuzo being 21 I thought I'd ask her 21 questions (I know, not very creative). I just have to say I actually do think her hair is fierce. So thank you very much Miss Onuzo and I wait in anticipation for your second novel. 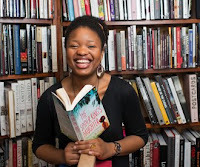 Also, check out Chibundu Onuzo's blog, authorsoundsbetterthanwriter.